IF YOU THINK A CHILD IS IN IMMEDIATE DANGER, CALL 911. Help available 24 hours a day, 7 days a week. The Safe Haven law identifies places where mothers can safely and anonymously surrender their babies without fear of prosecution. Free call to child development specialists for any questions about children ages 5 and under. A searchable directory of all resources and services available to families in Yavapai County. Provides care and services to those who have experienced child abuse, domestic violence, sexual assault and/or elder abuse. In the USA, an estimated 906,000 children are victims of abuse and neglect every year. Whether the abuse is physical, emotional, sexual or neglect, the scars can be deep and long lasting, often leading to future child abuse. Sadly, child abuse is much more common then you might think. Yet it is still inexcusable. Child abuse happens in many different ways, yet the result is the same — serious physical harm, as well as emotional harm, which damage a child’s sense of self and the ability to create healthy relationships. One of the most painful effects of child abuse is the tendency for abuse to repeat itself in subsequent generations. One in every three abused or neglected children will grow up to become an abusive parent. Physical punishment (the use of physical force with the intent of inflicting bodily pain but not injury) for the purpose of correction or control, used to be a very common form of discipline. Most of us know it as spanking or paddling. Many of us may feel we were spanked as children without damage to body or feelings. The widespread use of physical punishment, however, doesn’t necessarily make it acceptable. The level of force used by an angry or frustrated parent or caregiver can easily get out of hand and lead to injury. Yet, even if it doesn’t, what a child learns from being hit as punishment is less about why what they’ve done (or not done) is right or wrong than about behaving out of fear of being hit. 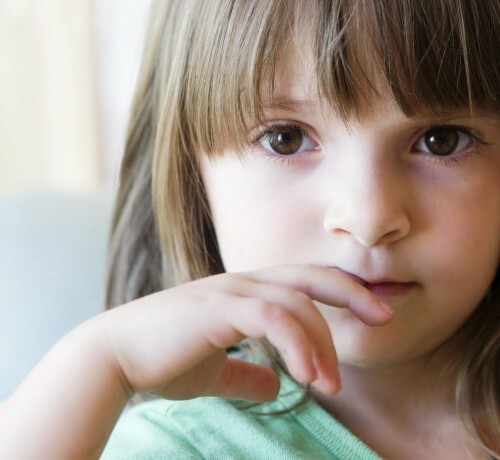 If a child begins to talk to you about a situation of abuse, you might not know what to say. The best help you can provide is a calm reassurance and unconditional support that you are hearing what they are saying. It is a tremendous act of courage for a child to come forward and speak about what happened. Think of the child and do the right thing. Most physically abusive parents and caregivers insist that their actions are simply forms of discipline; they feel what they’ve done is a way to make children learn to behave. However, there’s quite a difference between giving an unmanageable child or an upset infant a swat on the backside and twisting the child’s arm until it breaks. Physical abuse can include striking a child with the hand, fist or foot or hitting with an object. Abuse is also shaking, burning, pushing, pulling, pinching, biting or throwing a child. Emotional abuse takes many forms through both words and actions. Words can hurt. If a parent or caregiver is constantly belittling, shaming and humiliating a child, it’s abuse. If they are name-calling (including “no good,” “worthless,” “a mistake”), yelling, threatening, bullying, or withholding love and affection, it’s abuse. If a parent or caregiver are ignoring or rejecting a child, or exposing a child to inappropriate situations, actions or behaviors, it’s abuse. Neglect is a pattern of failing to provide for a child’s basic needs, endangering their physical and psychological well-being. I don’t want to interfere in someone else’s family. The effects of child abuse last a lifetime. Help break the cycle of child abuse. What if my phone call breaks up someone’s home? Child Protective Services number one priority is keeping children in their home. A child abuse report does not mean a child is automatically removed, unless the child is clearly in danger. They will know it’s me reporting them. Reporting is anonymous. The child abuser cannot find out who made the call. It won’t make a difference what I have to say. If you have a gut feeling that something is wrong, it’s better to advocate for the child than be sorry you didn’t. Even if you don’t have the whole picture, other people may have also seen what you have seen. A pattern can help identify child abuse that might have otherwise gone unreported.